Bali is an island of green with an abundance of natural charm that decorating. Many who adorn the mountain in the middle of the island, which is surrounded by a vast ocean beaches. Green rice field with terraced architecture. Very unique and beautiful to the eye, with regular farmers grow rice. Balinese beginning life as a farmer. 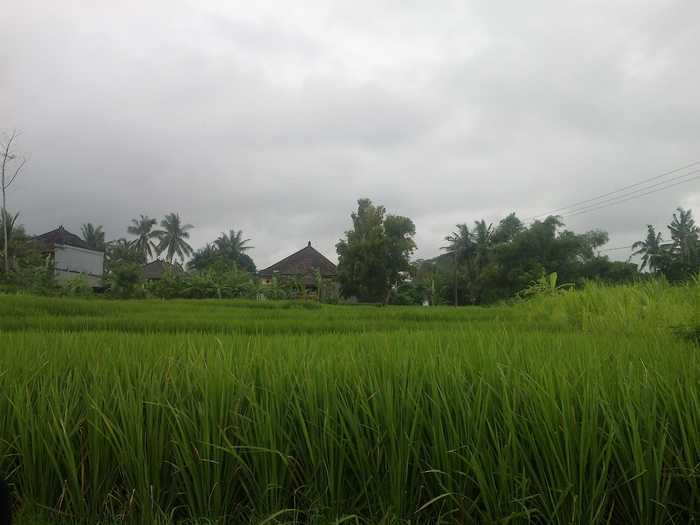 Balinese daily life as a farmer, growing rice and other agricultural commodities. Every region in the country, has an organization that regulates irrigation fields. Organizations in irrigation rice fields of Bali, called Subak. Subak Bali has been around since people began to recognize the identity and acquire culture. Subak has been part of Balinese life long ago. All the villages in Bali have this organization. Because Subak organization is part of the life of the Balinese who make Bali remains safe and secure. Without Subak, Balinese people will live in a dispute, especially among farmers, who all have an interest in getting water separately. But this time the existence of the Subak organization increasingly eroded. Subak organization's existence is closely associated with the presence of fields. The existence of fields is the beginning of the Subak. Without rice, Subak organization would be meaningless. Currently, many fields are converted into residential space. As currently reluctant farmers working their fields. Hard work is not comparable to the income earned. The farmers prefer to sell their rice fields, rather than pay the land tax is very high. The housing developers vying for profits from the sale of land by farmers. Developers utilizing the conditions for farmers to seize their farms just for their personal interests. They never care about the continuity of Balinese food. Because people desperately need food to live. The government seemed blind eye to this incident. Corruption and bribes blind the eyes of the government to sustain the farm. The government only look great reward as a bribe given by the developer. Parliament whose main task is to control the running of the government as it could not withstand the turmoil. No doubt anymore, Parliament engaged in bribery by the developer. The grounds for economic growth, the parliament and the government was willing to bet the farm land to be used as residential areas. When in fact there are many areas that are very layat and better used for new residential areas.